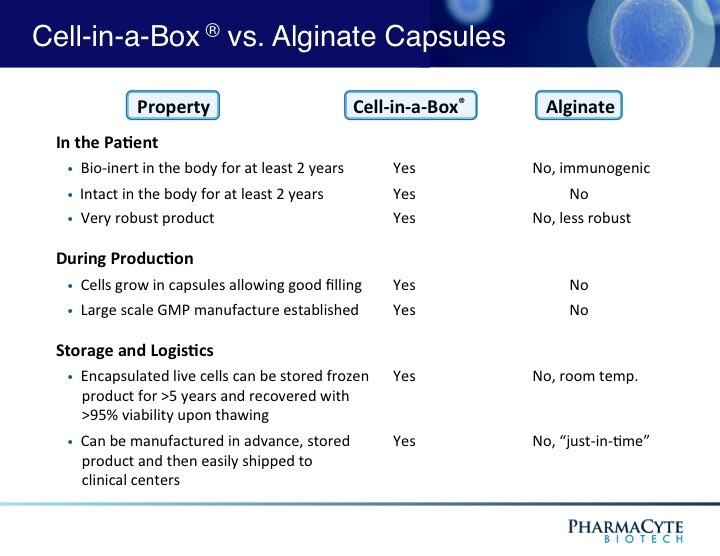 PharmaCyte’s Research and Development (R&D) efforts are focused on developing therapies for cancer and diabetes based upon a proprietary cellulose-based live-cell encapsulation technology known as “Cell-in-a-Box®.” This technology will be used as a platform upon which therapies for several types of cancer and diabetes are being developed. 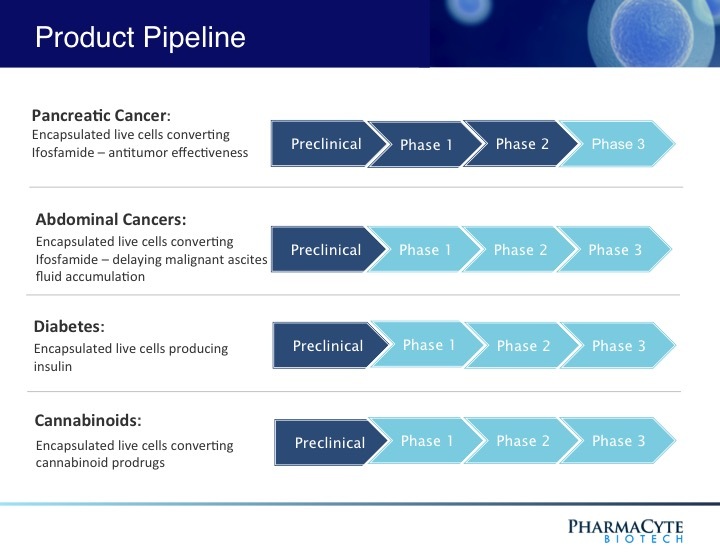 PharmaCyte’s therapy for cancer involves encapsulating genetically engineered human cells that convert an inactive chemotherapy drug into its active or “cancer-killing” form. These encapsulated cells are implanted as close to the patient’s cancerous tumor as possible. Once implanted, a chemotherapy drug that is normally activated in the liver (ifosfamide) is given intravenously at one-third the normal dose. The ifosfamide is carried by the circulatory system to where the encapsulated cells have been implanted. When the ifosfamide comes in contact with the encapsulated cells, those cells act as an artificial liver and activate the chemotherapy drug at the source of the cancer. This “targeted chemotherapy” has proven effective and safe to use in past clinical trials. Also, this novel form of chemotherapy results in no side effects. In addition to developing a novel therapy for cancer, PharmaCyte is developing a treatment for Type 1 diabetes and insulin-dependent Type 2 diabetes. 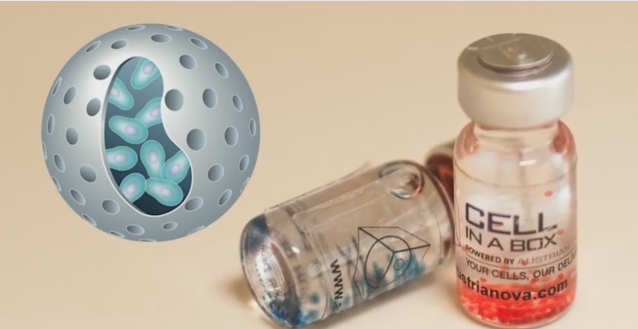 PharmaCyte plans to encapsulate a human cell line that has been genetically engineered to produce, store and release insulin in response to the levels of blood sugar in the human body. 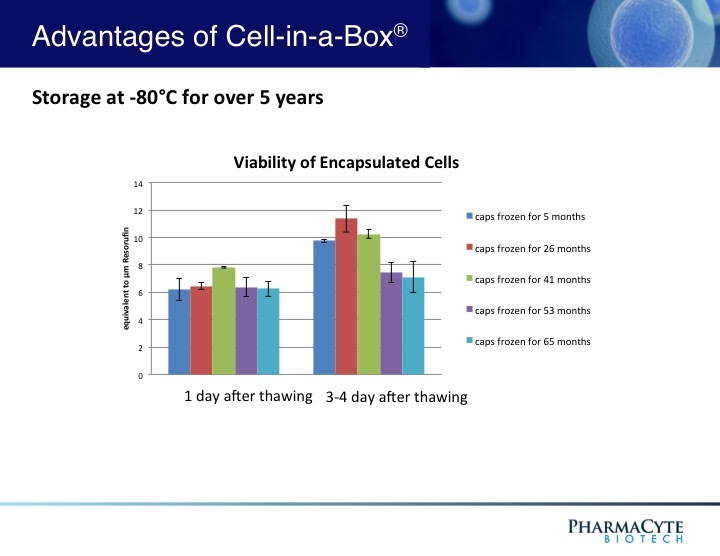 The encapsulation will be done using the Cell-in-a-Box® technology. 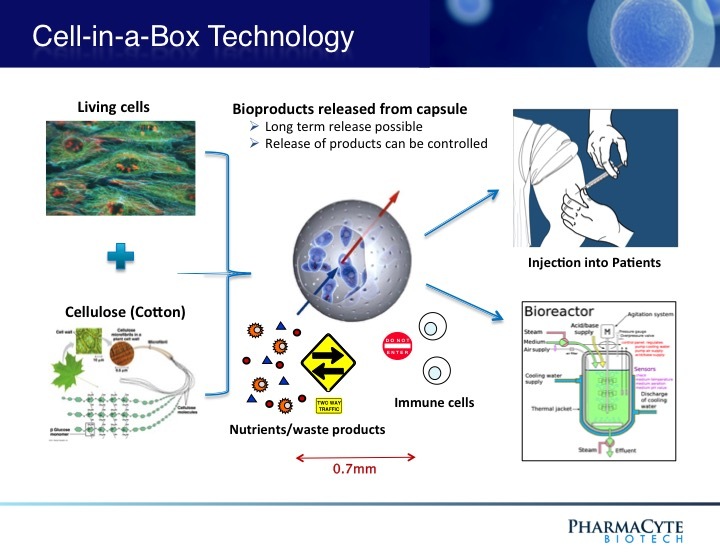 Once the encapsulated cells are implanted in a diabetic patient they will function as an “artificial pancreas” for purposes of insulin production. Our R&D Product Pipeline is shown below.